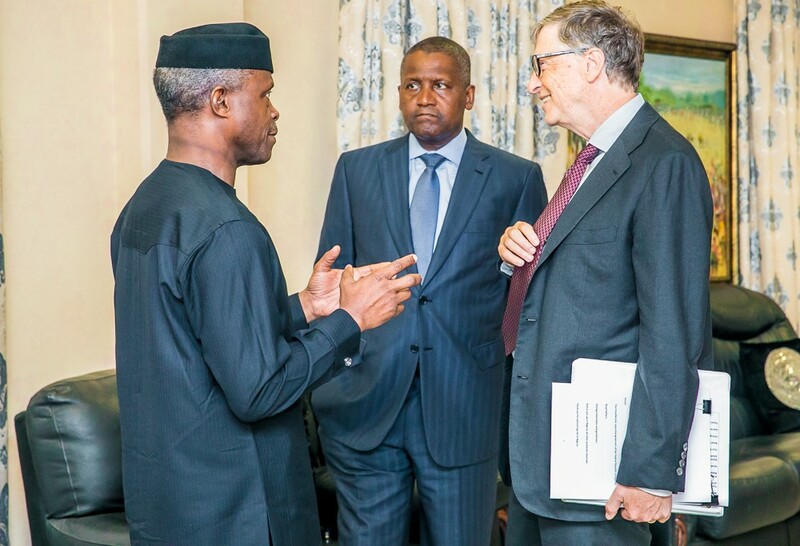 One of the richest men in the world, Mr Bill Gates, has called on the President Muhammadu Buhari-led administration to come up with economic policies that will address human development in the country. According to Mr Gates, the present economic blueprint, the Economic Recovery and Growth Plan (ERGP), gives low priority to human investment. The Microsoft founder said the ERGP has placed too much focus on infrastructural development, neglecting human investment. Speaking yesterday at the special and expanded National Economic Council (NEC) held in Abuja, the business mogul stressed that, “To anchor the economy over the long term, investments in infrastructure and competitiveness must go hand in hand with investment in people. He challenged government to “maximise the country’s greatest resource, which is the people,” emphasising that Nigeria will thrive when every Nigerian is able to thrive. He said, “If you invest in their health, education, and opportunities- the human capital we are talking about today, then they will lay the foundation for sustained prosperity. Mr Gates said Nigeria’s government revenue as a percentage of its GDP was by far the lowest in the world, at 6 percent and this makes the government investment in Nigerians difficult. “Obviously, you are aiming higher, but it gives you some idea about the scale we are talking about,” he noted. “We want to support you in your work to mobilise resources to invest in your country and I urge you to rethink your investment on Nigerian people,” he challenged the government. It had senior government officials in attendance including the Vice President, Mr Yemi Osinbajo; Minister of Finance, Mrs Kemi Adeosun; as well as Mr Aliko Dangote, a good friend of Mr Gates. The ERGP is a four-year (2017-2020) economic plan of this present administration put in place to help propel the country towards the path of development and growth.